Fourteen years ago, I bit through the lip of the first boy brave enough to kiss me. Since then, I've acquired a Ph.D. in archaeology, a new teaching gig at a prestigious university, and research interests out the wazoo. Unfortunately, my social life is still as bleak as a raided Egyptian tomb. Until, that is, a stranger interrupts my class bearing the same ancient cat fang I see in my dreams. He's rough around the edges and entirely riveting. No wonder my inner monster wakes up and seizes the reins. Soon, wolf tracks appear on campus, the monster begins holding conversations without my permission, and a shadowy figure breaks into my office in search of the cat fang. Can I afford to reopen old wounds and display my darker half to the world just when I'm finally finding my feet? Science meets myth in this first book in a new series by the USA Today bestselling author of Wolf's Bane. 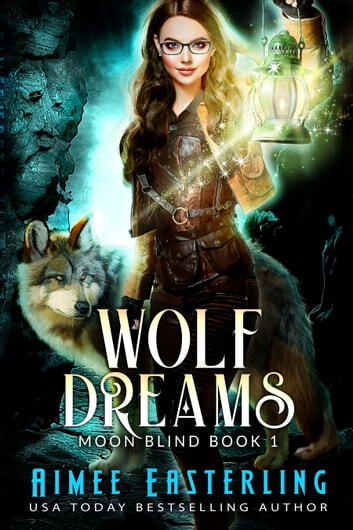 If you like stories about shifters, you'll enjoy this novel. We've visited this world before, this time we're looking at it from a non werewolf perspective, or are we? Dr. Hart is an archaeology professor, who is dragged into National Security issues that overlap some of her own. Her belief in science is questioned in this fast paced, suspenseful and action packed book. A great start to a new series, I'm looking forward to book 2. I both love and hate when an author I like introduces a new series. You don’t know what to expect, whether you will like the new series or not, and if you will be filled with despair at the characters involved. Ok, that’s a little dramatic, but I always open a new series with a little anticipation and a little trepidation. This series opener was excellent, however. Olivia is such a cute little character, and I loved Claw as her love interest. The plot was unique and I’m definitely looking forward to more in the series. I do have to say there were a couple points in the book where I was a little confused as to what was going on, especially at the beginning, but I figured things out pretty quickly. Try it, you’ll like it! I do recommend this book! I was provided the e-book which I voluntarily reviewed. In this newest book, Olivia is an archaeologist/professor. She also has a breast inside and had visions of the past. She doesn't understand what this means. She is suddenly confronted with action and drama while helping the President of the United States. Will she be get able to pull it off and still keep her job? I can't wait for the next one! Great job!